I pledge allegiance to the can...oh, wait. Don Sessions, 75, founder of the Oklahoma City-based Ol'Glory energy drink company, said he is expanding his business into Ol'Glory beer but he has run into a hurdle with the federal Alcohol and Tobacco Tax and Trade Bureau, which told him a federal statute prohibits use of images and statements related to the U.S. flag, The Oklahoman reported Tuesday. Read the whole short story at UPI. Congratulations to all! We'll swing by to celebrate this afternoon. WTF, Texas? It's beer, unless it's ale or malt liquor, in which case you not only can't label it "beer", you can't even refer to it as "beer"? Your labeling laws are stupid, archaic, confusing, and destructive to the marketplace. Stone Brewing Company's Vertical Epic, which has a once-a-year release and is part of a very important beer plan, was sitting in a warehouse in Houston waiting to be sent to stores, according to Austin Tefteller, a beer manager at Spec's. The problem, according to Tefteller, was on the label. The Vertical Epic contains more than 5 percent alcohol (quite a bit more), and in Texas, you can't call that a beer. And somewhere on Stone's label, it said the word "beer." "That's the reason a lot of craft brewers don't come to Texas," [Stone regional manager Jason] Armstrong says. "There are some amazing Belgium beers that don't come to Texas. You can get them in Louisiana, you can get them in New Mexico, but not Texas. What brewer or monk is going to change his label he's had for 500 years?" Read the whole stupid story at Houston News. Rock Bottom Restaurants and Gordon Biersch Brewery Restaurant Group Combine to Become CraftWorks Restaurants and Breweries, Inc. Apparently, big mergers aren't restricted to big breweries. Chattanooga, TN (November 15, 2010) – Centerbridge Capital Partners, L.P. and its related entities ("Centerbridge"), formed CraftWorks Restaurants & Breweries, Inc. (“CraftWorks”) by closing on concurrent acquisitions of Rock Bottom Restaurants, Inc. (“Rock Bottom”) and Gordon Biersch Brewery Restaurant Group, Inc. (“Gordon Biersch”) today. The companies will operate as subsidiaries of CraftWorks and will retain their brands. The combined business becomes the nation’s leading operator and franchisor of brewery and craft beer-focused casual dining restaurants with nearly 200 owned and franchised locations across the United States. CraftWorks’ primary concepts include Old Chicago, Rock Bottom and Gordon Biersch. Read the whole press release at the CraftWorks site. Brian Hayden, an archaeologist at Canada's Simon Fraser University, is working on research that links the brewing of beer to the birth of civilization. "In traditional feasts throughout the world, there are three ingredients that are almost universally present," he said. "One is meat. The second is some kind of cereal grain, at least in the Northern Hemisphere, in the form of breads or porridge or the like. The third is alcohol, and because you need surplus grain to put into it, as well as time and effort, it's produced almost only in traditional societies for special occasions to impress guests, make them happy, and alter their attitudes favorably toward hosts." The brewing of alcohol seems to have been a very early development linked with initial domestication, seen during Neolithic times in China, the Sudan, the first pottery in Greece and possibly with the first use of maize. 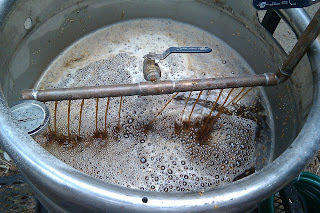 Hayden said circumstantial evidence for brewing has been seen in the Natufian, in that all the technology needed to make it is there — cultivated yeast, grindstones, vessels for brewing and fire-cracked rocks as signs of the heating needed to prepare the mash. Read the whole story at LiveScience.com. 10. What's in a glass? Get all the facts at LiveScience.com. Goose Island Beer Company has announced an agreement to brew some of their beers at Redhook Ales' facility in Portsmouth, New Hampshire over the next three years. The agreement will allow Goose Island to look at expanding into new markets.. Goose Island is expecting a 20 percent growth in 2010 and has almost reached the capacity of its Fulton Street brewery in Chicago. Built in 1995 for a maximum output of 100,000 barrels annually, the brewery is now capable of producing 130,000 barrels of beer. 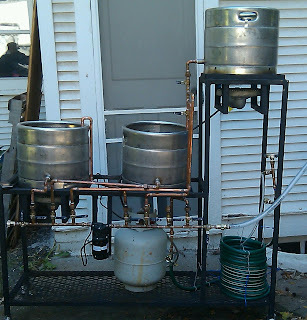 Read the whole article at ProBrewer. Is the Molson's (Canadian) beer sold in the U.S. watered down? Does my jaded palate deceive me, or is the beer exported to the U.S. by Canada and other countries in fact different from what they sell at home under the same label? I am sure you can appreciate the international significance of this issue. Read Cecil's answer at The Straight Dope. Good news: I've finally resumed work on the "Beer Me!" app for Android devices! It'll take me a short while to re-learn how my own code works, but after that I won't be too far from finishing the job. 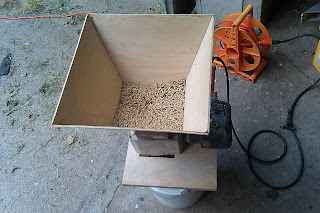 Stay tuned; I'll be asking for testers in the near future. If you subscribe to the "beer-before-civilization" theory, this finding could push back the origin of beer by thousands of years. Researchers collected stone tools from three archaeological sites in Italy, Russia and the Czech Republic. Our Paleolithic ancestors called these digs home some 30,000 years ago. The markings on the recovered tools suggest that they were used like grindstones and pestles for processing grains. And they still contained traces of flour. 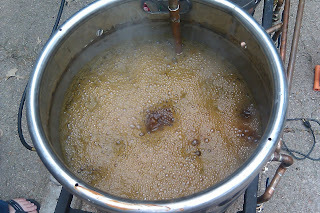 The flour grains came mostly from cattails and ferns, plants whose roots are rich in starch, kind of like a potato. Processing these plants probably involved peeling, drying and grinding their roots. 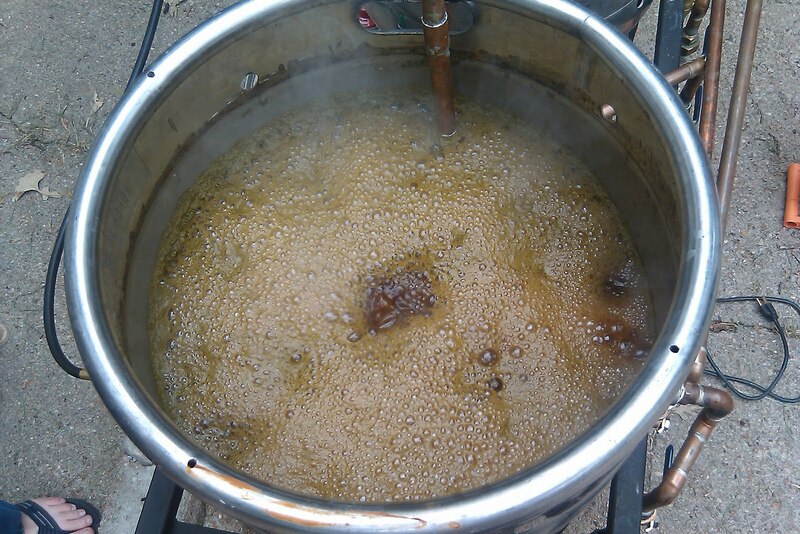 The resulting flour could then be whisked into a dough and cooked. Read the whole story and/or listen to the podcast at Scientific American. Thanks to Jay Brooks for this link to an interesting article from Zythophile, a blog I will start following as of today. Martyn makes some very good points about the etymology of "ale", and now I understand why old (and some newer) brewery signs advertised "Ales, Stout, and Porter". And I agree that "lager" and "ale" are inaccurate distinctions arbitrarily defining the two great families of "beer". But as with his own examples — soon, presently, decimate, fulsome — the meanings of "beer" and "ale" have changed over the centuries, and we have now what we have now, for better or worse. It's a fascinating article, and you can read it in its entirety at Zythophile. Read the history of National German-American Day, written by the man who made it happen, at Germerica. Then celebrate with a tasty beer from either country...or both! 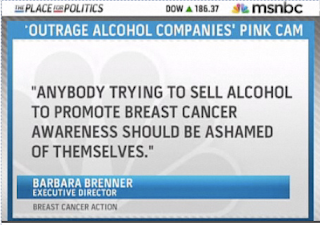 But perhaps the most telling part of the interview was when the MSNBC reporter remarked that one alcohol company had donated $500,000 to breast cancer awareness causes and then she asked a simple, direct question of [Angela Wall of Breast Cancer Action]. “Do you think that money should be given back?” Wall hems and haws, but refuses to give a yes or no answer, indeed never really even addresses the question. Clearly, she’s not giving the money back. But the brewing industry, we’re the hypocrites? Read Jay Brooks' proper and in-depth excoriation of these people at The Brookston Beer Bulletin. 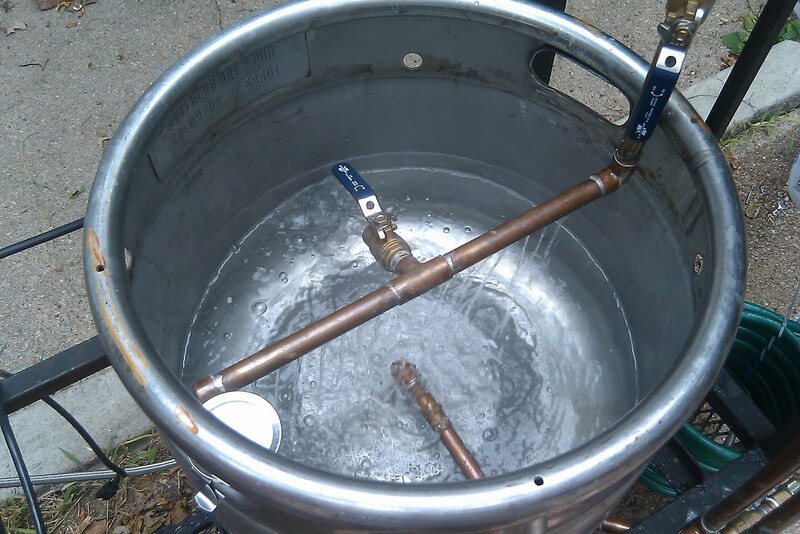 According to David Pollak at the San Jose Mercury News, Cornell-educated Sharks defenseman Douglas Murray had a hand in inventing this nifty device that allows up to three beers to be poured from the same keg simultaneously. Learn more at the Uber Dispensing Company. Thanks to enthusiastic Beer Me! contributor Libor "CzechBeerMan" Vojáček for a look at this year's Hop Harvest Festival in Žatec (Saaz), Bohemia. took place . Sure .. I was there and I am bringing now some pictures to you. Everybody knows Zatec ! Right ? .... and beer odyssey just begins ! small hop plant on main square - hop is given free to visitors ! my Chyse Microbrewery unfiltered beer. beer everywhere - you are in ZAtec !! In Czech republic !!! Hello from Zatec ... getting a bit hungry. More evidence that beer is good for you. "We tend to associate drugs that cure diseases with modern medicine," Armelagos says. "But it's becoming increasingly clear that this prehistoric population was using empirical evidence to develop therapeutic agents. I have no doubt that they knew what they were doing." It's interesting that modern pharmaceutical companies use genetically-engineered Saccharomyces yeast to produce their drugs. Read the whole story at ScienceDaily. Pour yourself a Stout Float and read the tasting notes at the Broward Palm Beach New Times. Yeast: is there anything it can't do? 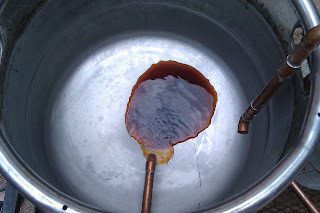 I brewed yesterday for the first time in well over a year; it was my first small-scale batch since 2005. 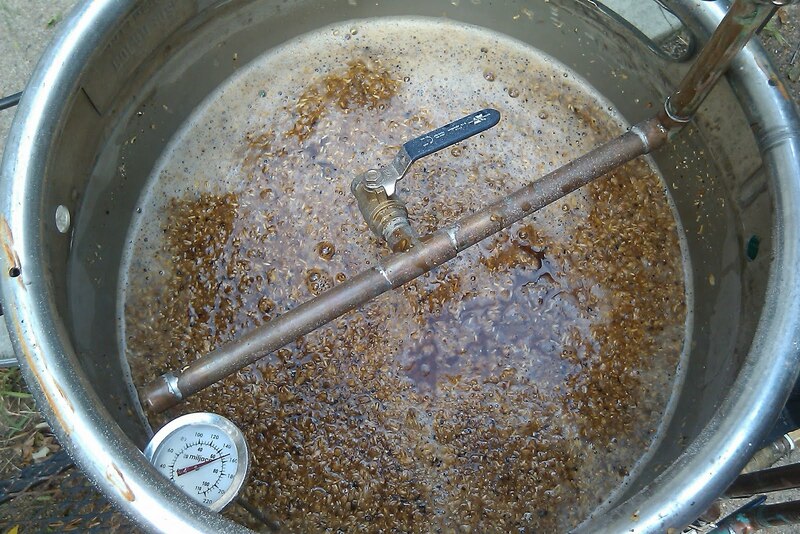 The recipe was the Princess of Darkness Porter, a 13.5°P beauty of a black beer. Nebraska Brewing Company kindly donated the ingredients and the use of their mill. 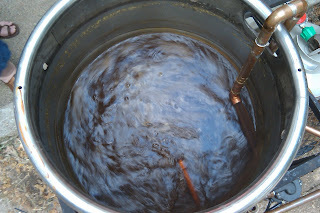 Apparently, I underestimated the sparge water volume. 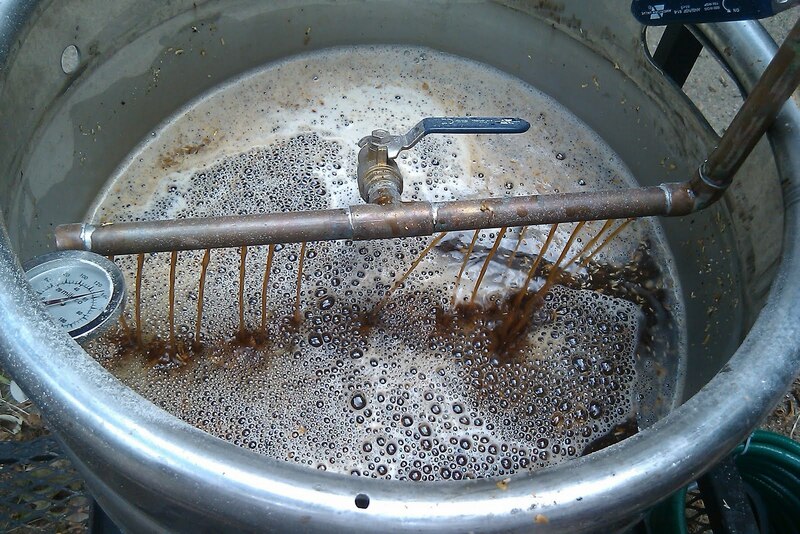 Instead of a 13.5°P beauty of a black beer, we have a 21°P beauty of an intense black beer: The Empress of Darkness. 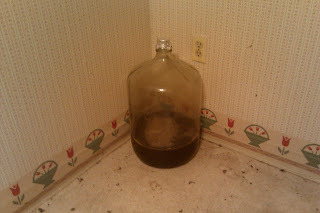 As soon as I can get my hands on another carboy, we'll give it another try.